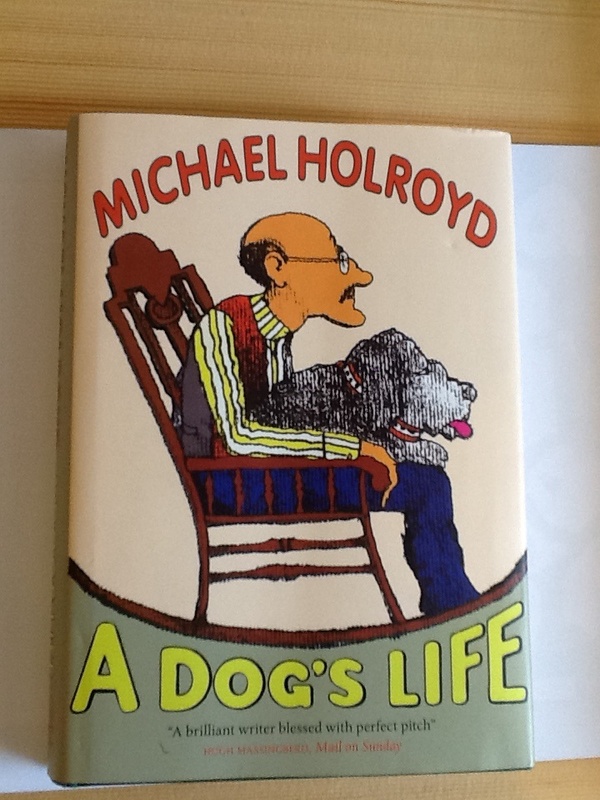 This is a fictionalised account of Holroyd’s eccentric family, detailing 24 hours in the lives of the inhabitants of the house called ‘This’ll do’. It’s a study of old age, and of a middle class family in reduced circumstances struggling to cope with the post-war world of the early 50s. Best known for his biographies [e.g. Bernard Shaw, Lytton Strachey], Holroyd has also written his autobiography and a family memoir. ‘A Dog’s Life’ grew out of his early writing based on his experiences being brought up in his grandparent’s house after his parents divorced. He observed acutely the humour and pathos of a household of individuals at enmity, the petty point-scoring and unkindnesses, the dreariness of the daily round and the terrible boredom of mealtimes. These were all things the young Holroyd longed to escape from, and he did so through reading. The humour lies in his accurate portrayal of each character – their obsessions, and how they eat, talk, dress and move. Other humorous scenes are created through minutely remembered period detail . At the same time, the author is sympathetic to the ‘tragic’ aspect of the situation, how the family has become trapped in their house and their relationships. In his postscript, sub-titled ‘Change and Delay’, Holroyd describes how the novel was first published in 1969 in the USA, and prior to that he had given it to his father to read .His father hated the way the characters were portrayed, and thinking that they would be easily identifiable, threatened legal action if the book went ahead.That is why it was first published in the States, and only came out in the UK this year, after his father had died . 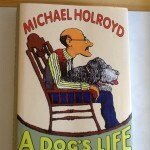 Holroyd had had difficulties with threats of litigation concerning the biographies he had written, and was used to trying to navigate the problems of an author revealing truths that could hurt the friends and family, or the reputation of the subject. He emphasises ‘the essential moral difference between writing of the living, who are vulnerable, and the dead’ – for the truth can be told about them without hurting them, although friends and family members may be hurt, especially if some matters had been kept secret. However, Holroyd also goes on to say that it is important to maintain the truth, insofar as it can be ascertained ,’For if we are merely fed with sentimental, false or protective stories about what people have done, we will be seriously misled.’ The author goes on to analyse the difference between creative fiction, as a work of the imagination and what he describes as ‘the recreative chronicle of non-fiction’ He does not see novel and biography writing as ‘rivals,so much as catalysts.’ He also does not believe that biographers should be restricted to proven facts, but they must take into account their subjects’ ‘fantasies, lies, dreams, delusions and contradictions.They must not invent, but they may speculate.’ The author points out that biographies need not end with a death – a life story may be told backwards, or may focus on the most interesting periods. In his opinion, Life -writing has more to do with social history than biography. Thus the Post-script provides many useful pointers for anyone engaged in writing family history, as well as offering advice on how to tackle difficult or painful topics.